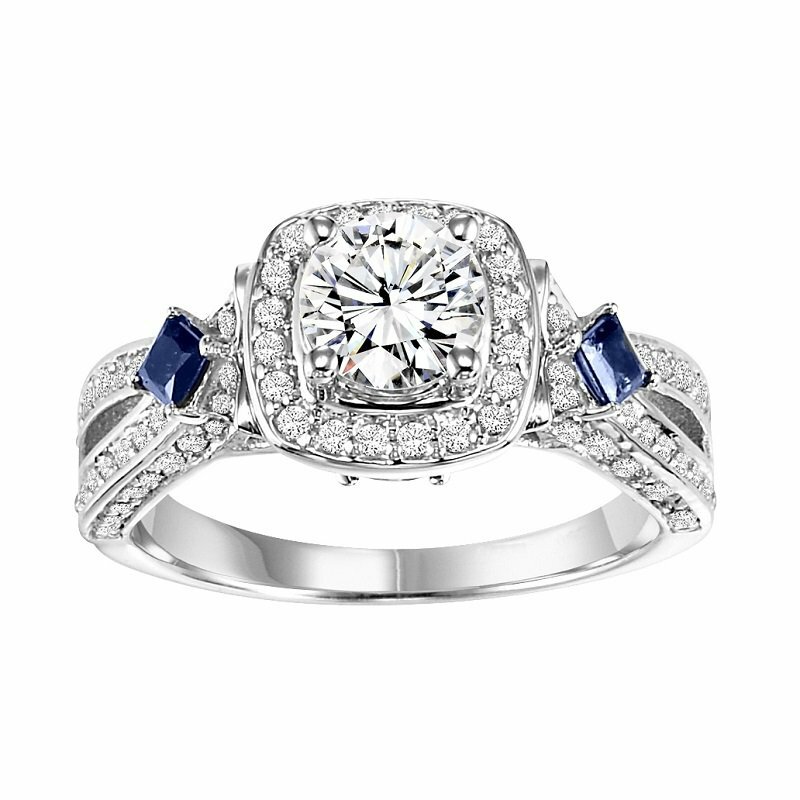 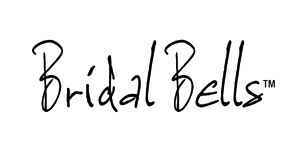 Lambert Jewelers: Bridal Bells 14K Diamond Engagement Ring with Sapphire 1/2 gtw. 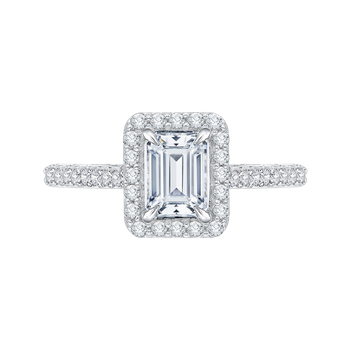 3/4 ct at center. 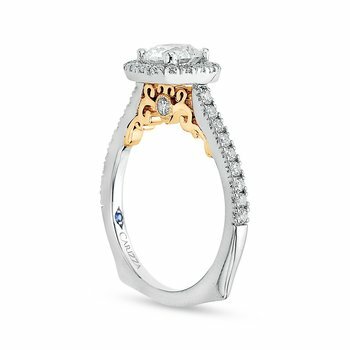 This 14 karat white gold split shank bridal ring is set with brilliant round diamonds and lovely blue sapphires. 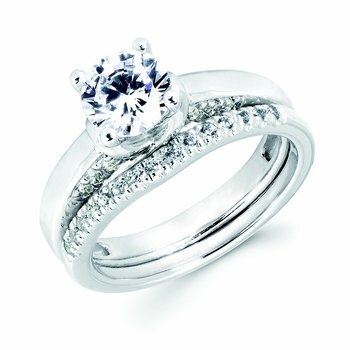 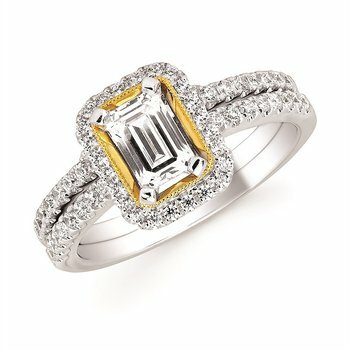 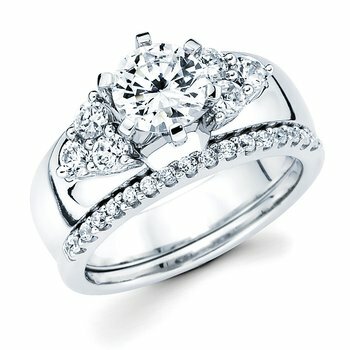 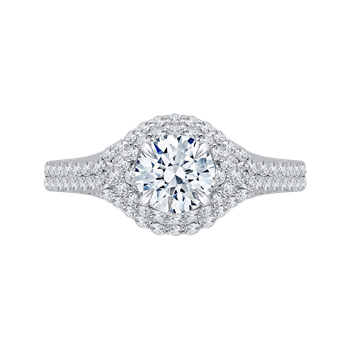 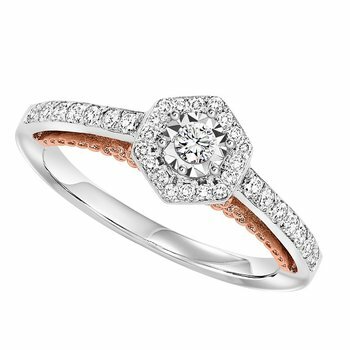 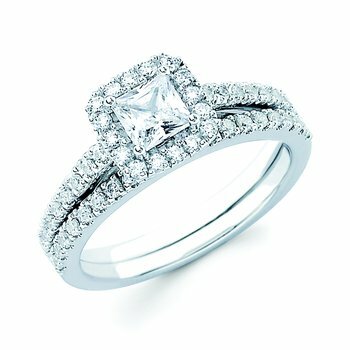 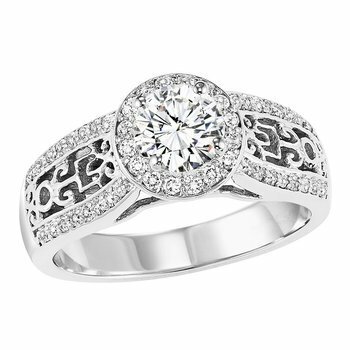 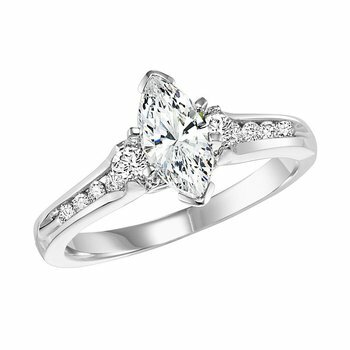 An amazing gift of love, this ring is finished with a bright polished shine. 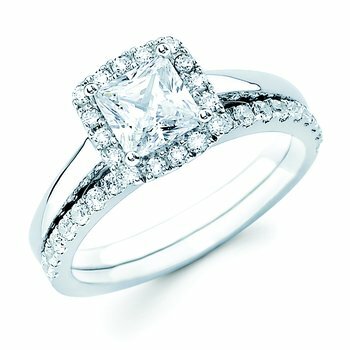 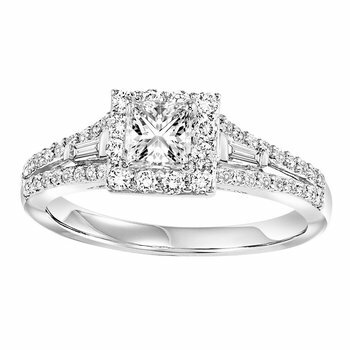 The total gem weight is 1/2 gtw and 3/4 ct at center.